Does sustainable forest management actually protect forests? A team of scientists is questioning whether sustainable forest management (SFM) is as effective as believed, based on their analysis of timber concessions in the Central African nation of the Republic of Congo. In a recent study, they find that timber concessions operating under forest management plans (FMPs) showed higher rates of deforestation than concessions without them. However, other experts in the field of tropical forestry say the study is overly simplistic, arguing that FMP performance alone should not be used as a barometer of SFM success or failure. 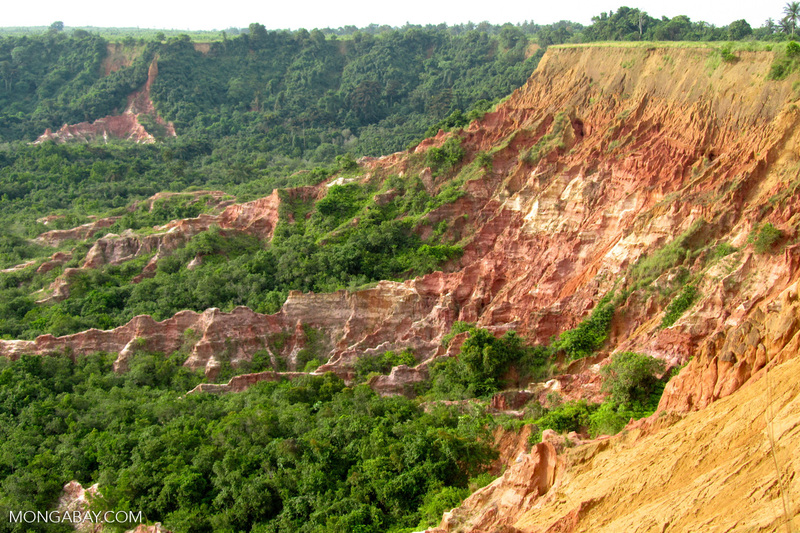 The Rio Earth Summit, held in Rio de Janeiro, Brazil, in 1992, brought the principles of sustainable forest management to the forefront of the quest to safeguard tropical forests and the habitat and carbon reserves they contain, while also providing for the social and economic needs of the people who depend on them. But a team of scientists is now questioning whether sustainable forest management might not be as effective as believed, based on their analysis of timber concessions in the Central African nation of the Republic of Congo. Specifically, they argue that SFM may not have led to less deforestation in Congo. They published their findings in a study published in December in the journal Land Use Policy. According to the UN’s Food and Agriculture Organization, sustainable forest management, or SFM, aims to integrate the social, environmental and economic values of forests. Under these policy principles, for example, forests could be managed to provide not only saleable timber, but also food and jobs for local communities, all while protecting biodiversity and carbon stocks. The Republic of the Congo’s forests are part of the vast Congo Basin rainforest – second only to the Amazon in size. Photo by Rhett A. Butler. To meet these ambitious goals, SFM often starts with a forest management plan – an FMP for short – to outline how a timber concession should be managed. In the more than two decades since the Rio Summit, nearly half of the more than 400 million hectares managed for timber around the world have been brought under FMPs. In 2000, the Republic of Congo passed its own “SFM-based forestry law,” report the authors in the paper, which requires an FMP for each timber concession authorized by the government. Over the next decade, however, only six of the 45 active timber concessions in the country had put an FMP in place. To Arun Agrawal and his colleagues, that presented a unique opportunity to assess the impacts that SFM might be having in a country at the heart of the Congo Basin, home to the world’s second-largest rainforest and 25 percent of the carbon in tropical forests worldwide. “There was a fair amount of data on the Central African forests [that] were being put out by organizations like Global Forest Watch and by different concession owners and so forth, but we didn’t really have a good sense of what was going on in these concessions,” said Agrawal, a political scientist at the University of Michigan. So the team set out to compare the available satellite data measuring forest cover loss over time in concessions in Congo that had an FMP with those that didn’t. 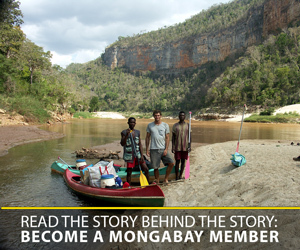 “The big question is, when you reduce illegality, do you get lower deforestation?” Agrawal said, in an interview with mongabay.com. The results of the team’s analysis did seem to be telling them a different story. 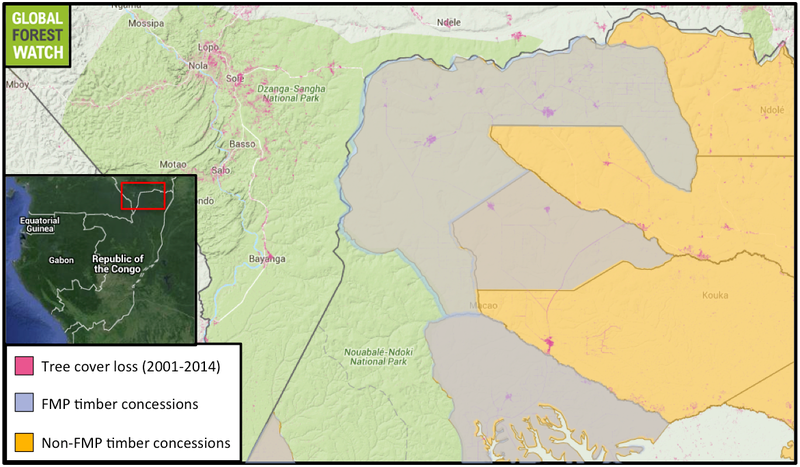 For instance, they report “significantly lower rates of deforestation” in many Congo concessions that lacked FMPs. But several experts in the field who weren’t involved with the research have questioned the study’s interpretation of the data, as well as that of SFM itself. “The fundamental flaw in this study is that…the authors equate the registry of a Forest Management Plan (FMP) with the government with SFM,” said Francis Putz, a professor of biology at the University of Florida who has worked extensively in tropical forest management for decades, in an email to mongabay.com. And they assume that as soon as a concession adopted an FMP, it also implemented the policies it contained, he added. “Unfortunately, due to lack of governmental oversight and enforcement, and lack of worker capacity and supervision, most FMPs do little to change forest management practices,” Putz said. He conceded that “tropical forestry has a long way to go before it is environmentally sound and socially appropriate.” But FMPs are only one part of the SFM puzzle. Congo’s timber concessions operated under Forestry Management Plans (FMPs) are all located in the northern portion of the country. The authors of a recent study found that these concessions had a higher rate of deforestation after implementation of FMPs in the mid-2000s. Indeed, Global Forest Watch data indicate the FMP concessions shown here increased their average annual rate of forest loss more than 8 percent from 2001-2005 to 2006-2014. However, other researchers question the findings, saying sustainable forest management is nuanced and that these FMP concessions were actually more efficient at producing timber than concessions without. The goals of SFM and related certification schemes such as those put forth by the Forestry Stewardship Council are in fact much broader, Nasi said. In fact, SFM often means intensifying timber harvests in one area to spare other areas – perhaps those with substantial carbon reserves or strongholds of biodiversity – from the effects of less-deliberate harvesting. Still, Nasi pointed out that the concessions with FMPs in the Land Policy Use study were actually more efficient than those without. To produce the same 1,000 cubic meters of timber, the concessions without FMPs that the researchers looked at deforested “roughly double” the amount of forest, Nasi said. 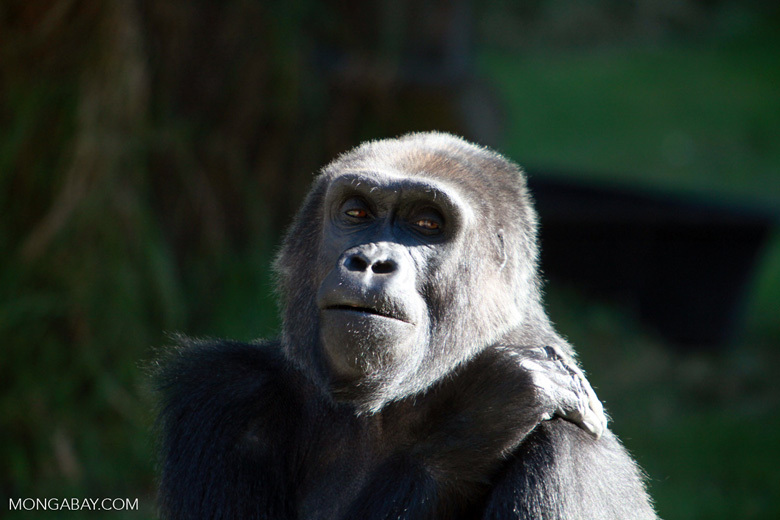 Congo’s forests are home to many unique and threatened species, such as the endangered western gorill (gorilla gorilla). Photo by Rhett A. Butler. And he said that these types of questions about whether policies are actually working aren’t asked often enough. “Until we actually start looking at and thinking about what do policies actually do – are they having long-term impacts? – we’re trying to do things without really making a difference,” Agrawal said. Brandt, J. S., Nolte, C., & Agrawal, A. (2016). Deforestation and timber production in Congo after implementation of sustainable forest management policy. Land Use Policy, 52, 15-22. Disclaimer: The author writes on occasion for CIFOR’s blog, but CIFOR had no editorial input in regard to this article.